Family holidays are the stuff of lifelong memories. When we look back on childhood days, they jump out like nothing else. For the kids, it’s all about special time with mum and dad, while making new friends and flinging themselves into exciting new experiences. For parents, its about getting the most out of precious out-of-school time with their children in a safe, fun, stimulating environment, while also being able to eek out a bit of grown-up relax time. Ultimately, you want to tire out little limbs while having a good time yourself! Westport House and Pirate Adventure Park is truly unique, in that it can charm all members of the family, big and small. Its special blend of heritage and fun means that mums and dads (and young adults too) get to lose themselves in a stunning building’s fascinating history and beautiful gardens, while kids also get to indulge in bucket loads of adventure-park thrills and a host of other fun activities – and all on the grounds a stately home that is built on the foundations of castle once owned by one very special real-life pirate. 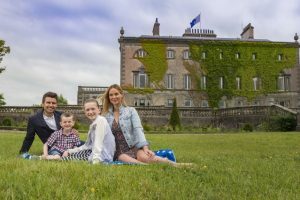 To give you a taster, here are six family-fun ways to experience Westport House and Pirate Adventure Park. 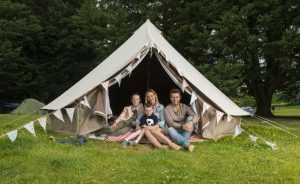 When it comes making sure families enjoy camping out under the stars, no one does it better than Westport House. Whether you bring your own tent, hire one of our (very cool) bell tents or park up in a campervan or caravan, you’ll be enchanted by the woodland setting. With all the onside facilities you’ll need – from spotlessly clean loos and hot showers to electricity points and free WiFi – you’re guaranteed to have a hassle-free holiday. You don’t even have to cook if you don’t want to. If you’re feeling too lazy to light the camping stove, you’re right beside all-day family-restaurant Gracy’s Pizzeria & Bistro. And at the heart of the camping area are the children’s sand pits. A magnet for the kids, they inevitably become a family hotspot. Parents get to loll about chatting while kids get do what they do best: run about, roll around on the ground, build ‘stuff’ and then knock it all down. Bliss. Kids big and small just love the thrill of a good fun-ride. 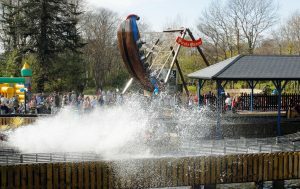 At the Pirate Adventure Park, hearts will race on the Plunge Log Flume Ride; soar on the Pirate Queen Swinging Ship; and pound on the Cannon Ball Run Slide. It’s a thrill seekers’ paradise! Don’t fancy an adrenaline rush? If you’d prefer something a little less hectic, head for the pedaloes on our beautiful lake. 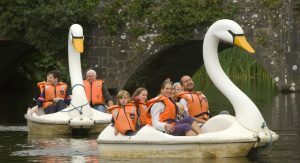 These eight-foot-high swan-shaped pedalo boats are a wonderful way for families to enjoy stunning views of the house and gardens. These swans are happy to take up to four pedalling passengers on their backs (the lake’s real swans are less accommodating, but happy to glide alongside!). Westport House also offers gentle twilight pony rides for children, set in the magical surrounds of the estate. Nothing like a little horseback ride before bed to send them off to sleep smiling. If the sky darkens, don’t worry – your mood won’t. Here at Westport House we have a brilliant recreation room, where movies, games and a jukebox will keep young ones occupied on a rainy day. 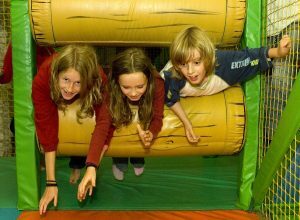 There’s also the Pirate’s Den indoor soft play area to go wild in, The Pirate Princess’s dungeons to explore, or even the Flume Ride to wash off the rain! Or why not hop aboard the brightly-coloured, fully-enclosed Westport House Express for a guided tour of Westport House Estate, Westport Quay and Westport town? Blue skies or grey, this train ride is a wonderful way to get a feel for your surroundings and its fascinating stories. The Pirate Adventure Park’s brand new Pirate Ship Obstacle Course is a whole 24 metres of pure fun. It features a high slide and plenty of hoops for children to jump through. Dare you not to laugh as they wobble around, trying to make it to the other end. Afterwards, bounce over to Gracy’s Bouncy Castle, ideal for smaller and younger members of the family, and another wibbly, wobbly wonder that will keep the kids moving and giggling. 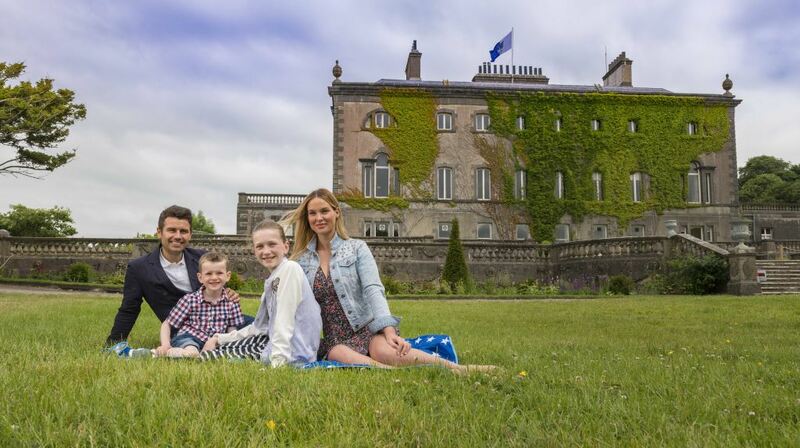 Located right on the grounds of Westport House, Hotel Westport is all about families. Children are valued guests, a fact that is evident from the moment they arrive: Colourful kiddie steps at the hotel reception desk allow little ones to climb up to desk height and be part of the whole checking process. The hotel’s Panda Club has different groups for younger and older kids, and offers a whole range of exciting indoor and outdoor activities, including arts and crafts, painting, storytelling, swimming, treasure hunts, marshmallow tower building (yes, you read that right! ), disco competitions and puppet shows. These fully supervised and hugely popular clubs are a great way for parents to get some well-earned time out. Pamper in the spa anyone? Convinced? Brilliant! 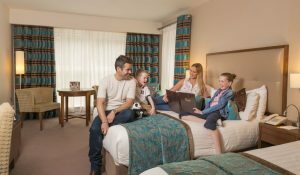 Why not discover YOUR perfect family holiday at Westport House and Hotel Westport. Prices start from €99 for a family of four a night for select dates. Check availability today.